Double-O (or Twin Loop, Wire-O) binding technology offers durability and a high tech look. 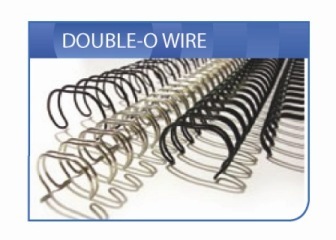 These wire elements are compatible with the 3:1 and 2:1 Pitch wire binding machines on the market. Available in Black, White, Silver, Pewter, Blue, and Red!